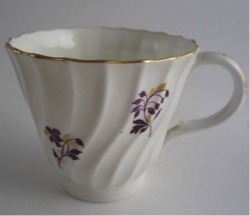 A delightful Worcester trio from the 'Barr' Worcester period, c1795. 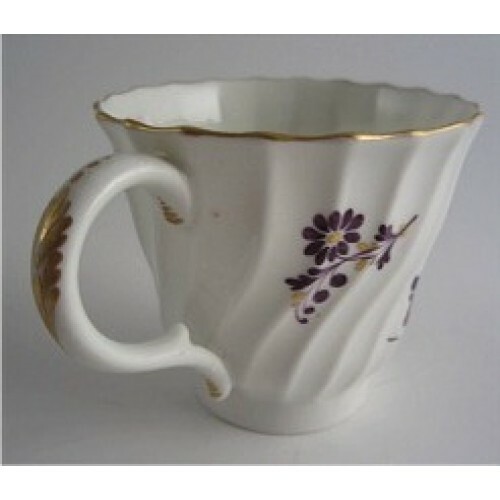 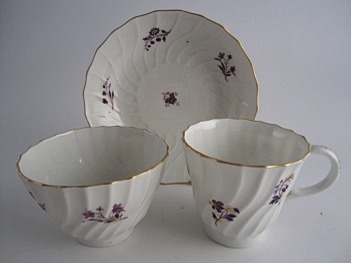 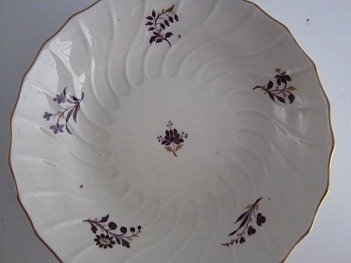 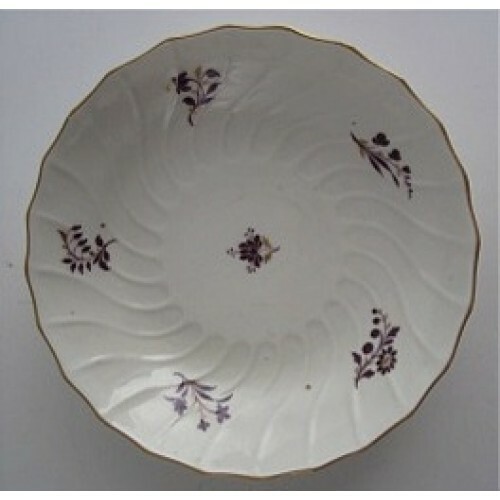 This charming trio comprising a 'waisted' shanked tea bowl, coffee cup and saucer are decorated with an elegant purple and gilt flower sprig pattern. 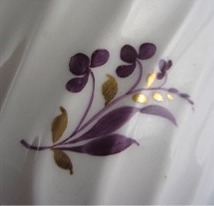 Each item is marked with the scratch 'B' mark used at the Worcester factory in the 'Barr' period between 1792-1803. 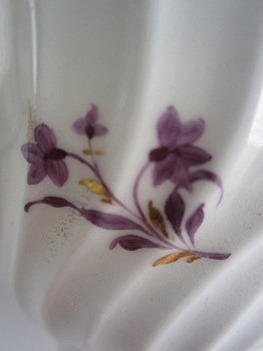 This fine trio dates to c1795 when this shape and pattern were very fashionable. 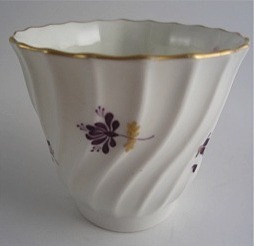 The tea bowl is very finely potted with crisp moulded spiral shanks to the body. 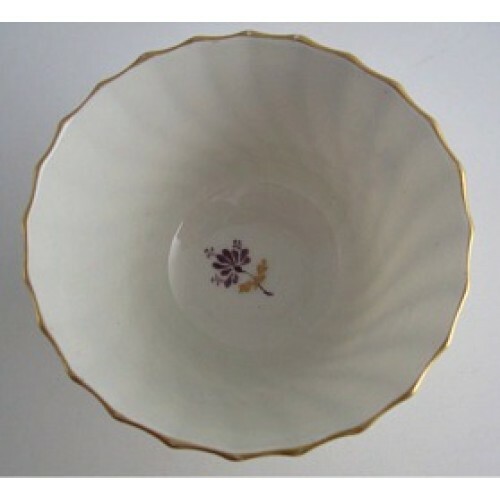 The tea bowl is decorated around the outside with pretty flower sprigs of different flowers in purple with gilt embellishments. 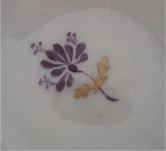 In the base of the tea bowl is a further flower sprig, also in the same purple and gilt. 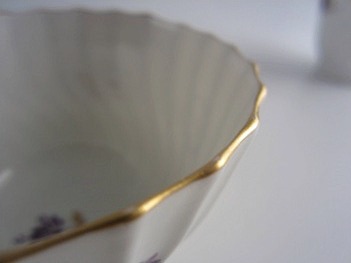 The scalloped rim of the tea bowl is gilded. 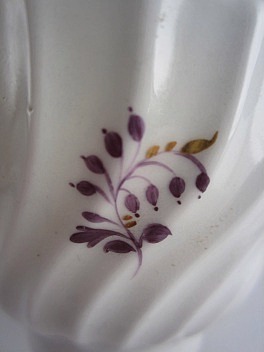 The base of the tea bowl is marked with the 'Barr' Worcester scratched 'B' mark and the decorator's tally number 7. 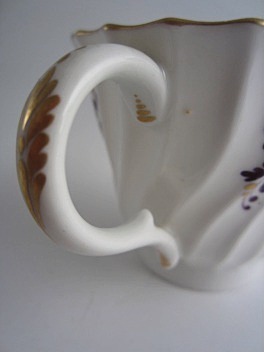 The coffee cup is decorated with the same decoration as the tea bowl. 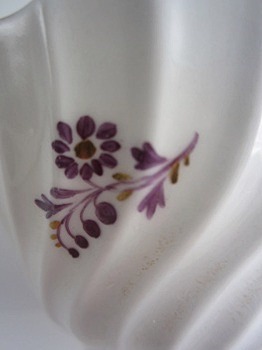 It too is of a 'waisted' shanked moulded form . 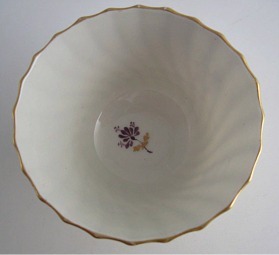 It also has the same gilt scalloped rim as the tea bowl. 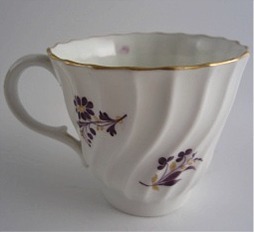 Each of the flower sprigs around the body of the coffee cup are different. 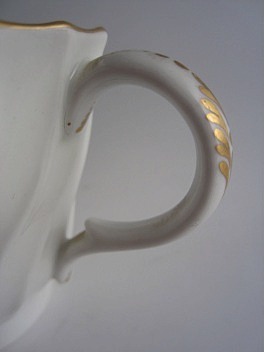 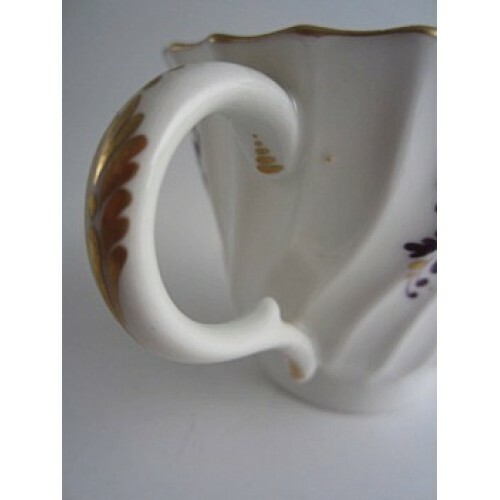 There is an open loop handle to the coffee cup, this having an inward pointing spur to the lower portion. 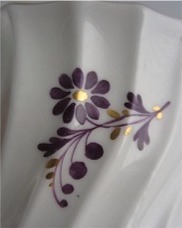 The back edge of the handle is decorated with foliate gilding. 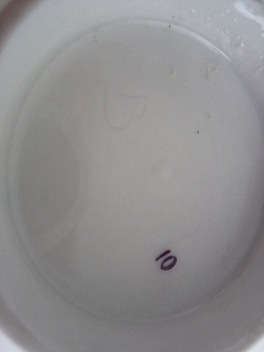 The underside of the coffee cup is marked with the 'Barr' Worcester scratched 'B' mark and the decorators tally number 10. 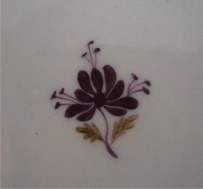 The saucer of this trio is also shanked and decorated in the same manor as the tea bowl and saucer.. 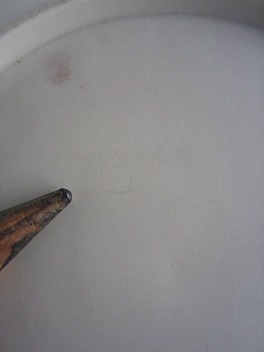 The bas of the sauce is marked with the 'Barr' Worcester scratched 'B' mark. 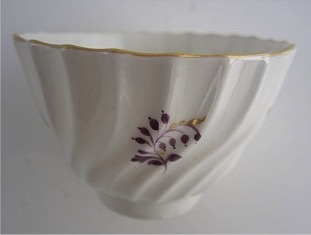 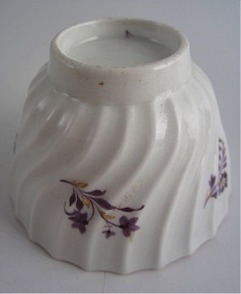 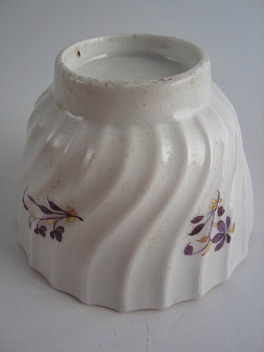 2¼" (53mm) height of the tea bowl. 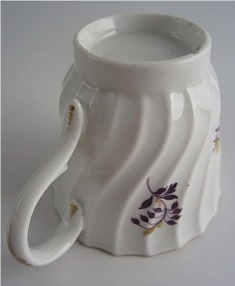 3" (80mm) max. 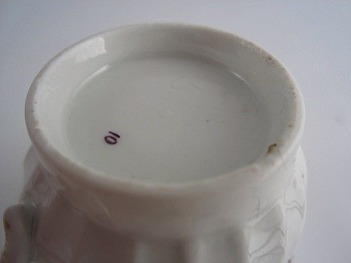 diameter of the tea bowl. 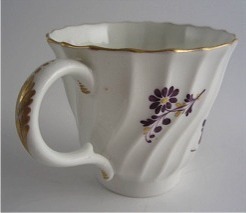 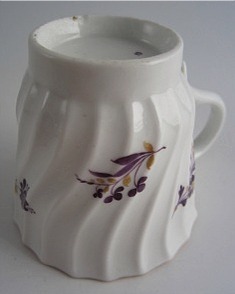 2½" (60mm) height of the coffee cup. 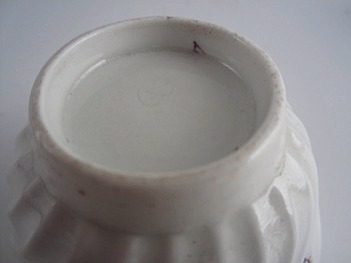 2¾" (80mm) max. 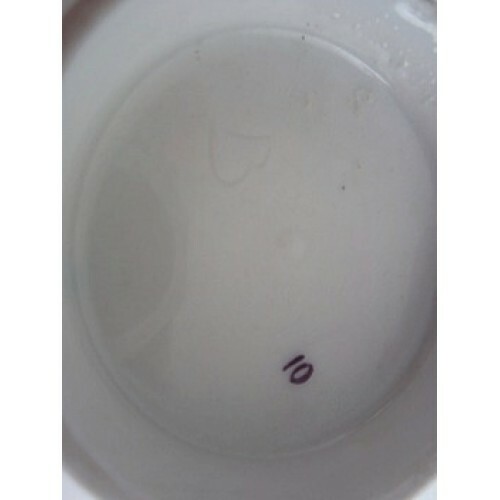 diameter of the coffee cup. 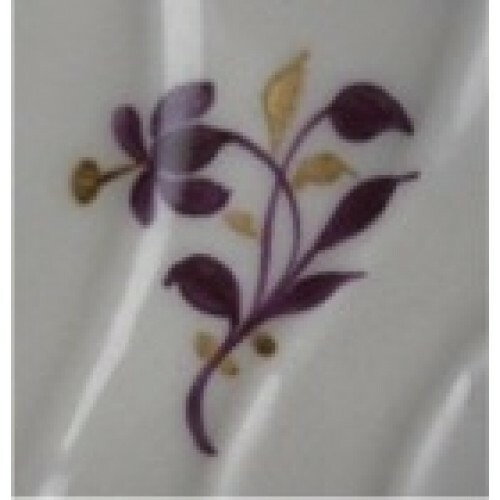 5¼" (135mm) max. 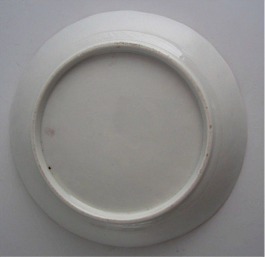 diameter of the saucer. 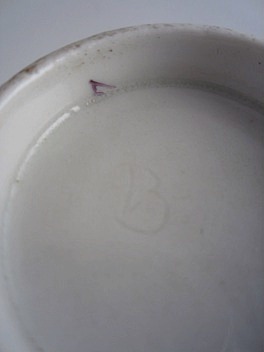 Each item is marked with the scratch 'B' mark used at the Worcester factory in the 'Barr' period between 1792-1803. 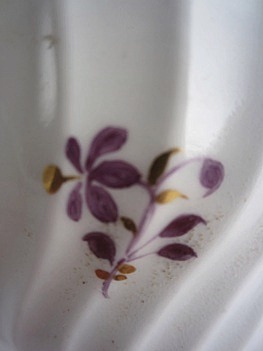 This fine trio dates to c1795 when this shape and pattern were very fashionable. 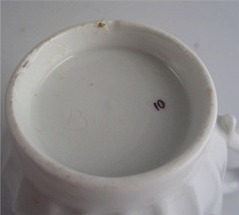 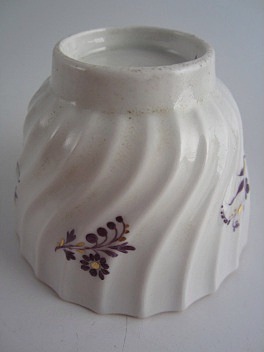 The tea bowl carries a decorator's mark of a 7, the coffee cup a 10. 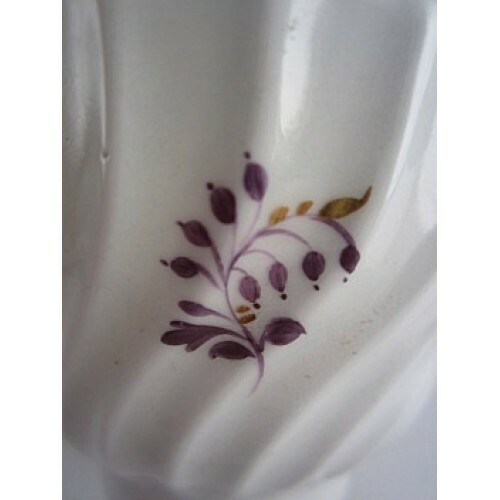 This stunning 'Barr' Worcester trio is in excellent condition with no chips, cracks, repairs or restoration. 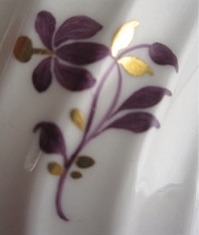 The gilding is also in very good order showing very little wear indeed. 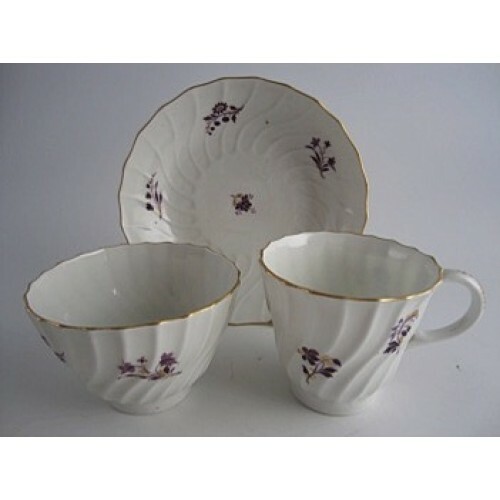 It is a very good trio for the collector of Worcester or late Eighteenth English porcelain. 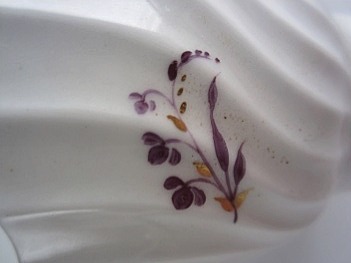 Condition (See main description for full details and pictures) This stunning 'Barr' Worcester trio is in excellent condition with no chips, cracks, repairs or restoration. 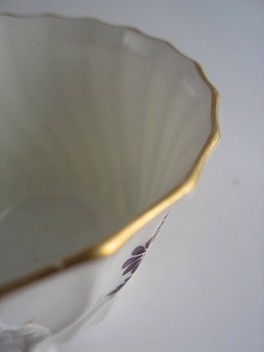 The gilding is also in very good order showing very little wear indeed. It is a very good trio for the collector of Worcester or late Eighteenth English porcelain.